I have been traveling the world for over 15 years as a TV cameraman, so have picked up and developed some tricks for travel with equipment along the way. For me, camera gear is only a tool to help achieve the desired goal, but I have to enjoy using it and it must be reliable. I have a rule that if something lets me down in the field it gets shelved when I return from the trip. I want this page to be a resource to help other photographers, but don’t take my word for it, please test and make your own assumptions. However, if you just don’t travel much, or you are just starting out, perhaps this page can be of some help to you. My intent is to give you an insight into what I might take on a typical job and to explain why. On this page and under each tab you will find an overview of that gear. It is not a complete list and of course, my requirements would depend on the particular mission I’m heading out on. But it should give you a good starting point if that is what you are looking for. 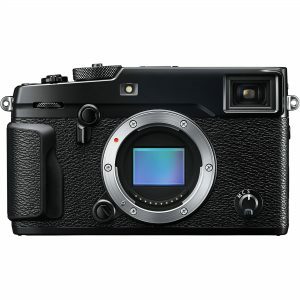 The Fujifilm mirrorless X series has a lot to offer a photographer. The lenses are very high quality optically and very well made. They make the perfect setup if you are trying to travel light. The X-Pro 2 is the flagship Fuji and is my current weapon of choice for pretty much all work I do right now. It’s well-made metal construction offers a certain piece of mind that it won’t fall apart on a trip. The viewfinder is great with a choice of optical or electronic. The X-Pro2 has a maximum speed of 1/8000 sec and a flash sync speed of 1/250sec. Furthermore, the camera also includes an electronic shutter with a completely silent operation and a maximum speed of 1/32,000 sec, allowing users to select maximum apertures even in bright conditions. With its twin SD card slots you have little worries about losing data should a card go pop, you can set them up to simply waterfall into the next card or better still, as I have set, configure the second card to mirror everything that gets recorded onto the first one. This means you have half as much memory in your camera but you have a backup copy every time you press the shutter. The size and weight are perfect for travel when paired with one of the many excellent Fujinon primes such as the 23mm or the 35mm. The X-Pro 2 has way too many clever and useful features to list here. The bottom line is its well made and the images and skins tones that come out of the camera are amazing. 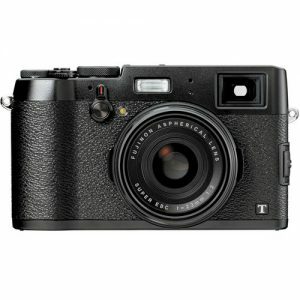 The Fujifilm X-100T is a highly capable compact camera with a fixed 23mm f2 lens and an APS-C sized X- Trans sensor. The low-pass filter has been removed as due to its clever sensor design it no longer requires one. This means you get much better detail definition from its 16mp sensor than you might expect. It is also equipped with a leaf shutter and due to this it can flash sync at any speed you like, this becomes extremely useful when using the flash in bright daylight situations as a fill flash. It also has a built-in 3 stop neutral density filter, this also becomes extremely useful in bright situations if you are still trying to get a shallow depth of field for example. 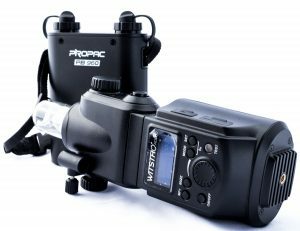 It’s a strobists dream come true with these features. 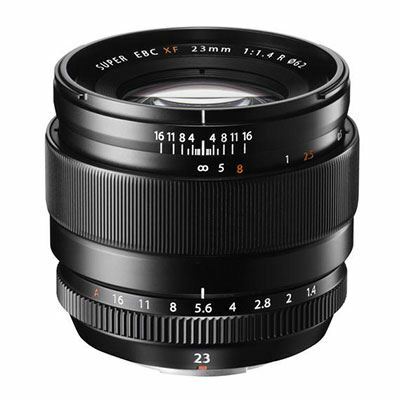 The Fujinon 23mm f2 is very good, sharp and fairly fast lens that once the crop factor of the sensor is taken into account will give you a useful 35mm equivalent. The viewfinder is a marvel giving options to use as an optical or electronic (EVF) both have their uses. I mostly will use it in EVF mode, however in low light of fast-moving situations, the optical can be better. Frankly to have both is great! Fuji has included a number of film simulation modes and I think the skin tones from the Fuji cameras, in general, is hard to beat. The X100t version now has Wi-Fi, now this may sound a little like a gimmick to some people but is actually the main reason for me to upgrade from the older X-100S, a fine camera in its own right. The Wi-fi comes into its own when you are out in the field and want to keep people updated via social media, or if you quickly want to review of show people an image on my iPad mini rather than the small screen of the camera. Its main use in my workflow, however, is that you can make an instant street side print using the little Fuji SP1 Instax printer. This can be a real door opener when you are travelling. The X100T also adds a fully electronic shutter mode. This enables totally silent operation and increases the maximum shutter speed to an impressive 1/32000 sec. For me, it’s the best walk around camera you can buy. You can read about why I owe this camera so much by clicking the link Fujifilm X100. This fast wide prime is very small. 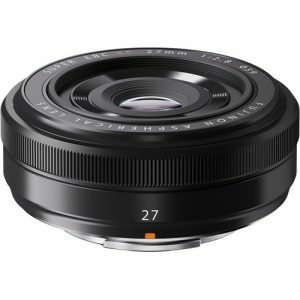 This makes it great for travel, sure you can have a faster lens the 16mm for example or a wider one, the 10-24mm zoom. However, they are too big and heavy for me to use in my travel kit. This great little wide angle fits in a pocket no problem. It’s not weather sealed sadly but it is sharp. Click here to see my review of this wonderful lens. It’s my favourite lens in the range. I’m not a fan of the 18mm. Don’t get me wrong, it’s a great focal length and it’s nicely made and feels great in the hand. However, after some testing, I just cannot live with the chromatic aberrations or edge softness. I feel it would make a good street lens, but it’s just not for me. It offers an angle of view equivalent to a 27mm lens on a 35mm camera. The 18mm despite being fun, no longer lives in my bag. This is a big heavy prime that looks a little out of place on the smaller bodies like the Fujifilm X-E2s, however, that doesn’t stop me from doing just that sometimes. It’s a wonderful example and not plagued with the loose aperture ring you tend to get on some of the other models. It is very sharp from f4 to f8 as you might expect. If you need a low light general purpose prime then this would be a good choice. It is hard not to love this tiny pancake lens. You need to see it on a camera to understand just how small it is. it is only 23mm long and weighs just 78g. I bought it to use a camera body cap really. I then always have a tiny lens as a backup should I have a failure. It is perfect to keep on a backup body. Now it is not the sharpest at the edge but the centre sharpness is great from wide open better than you might expect. 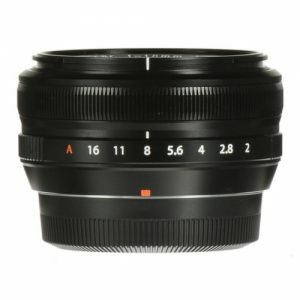 It’s best to try to use this lens around f5.6 if possible. Due to its size, it does not have an aperture ring. But it is fun to use. It offers an angle of view equivalent to a 41mm lens on a 35mm camera. I just can’t bring myself to sell it! 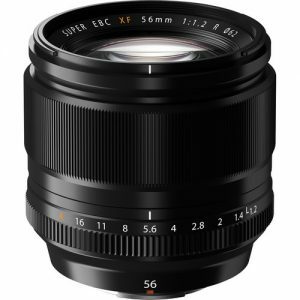 The 35mm f1.4 is yet another cracker from Fujifilm. Small, light, fast and sharp is all you need to know. Oh, plus it is well made and has that Fuji feel. Weighing in at 187g it is pretty light. 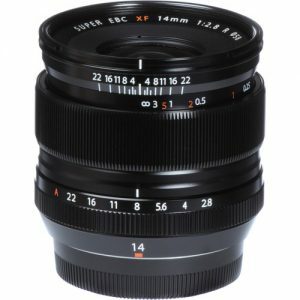 It has a smaller rival in the range the 35mm f2 so you need to decide which is more important low light or the even smaller lighter weather sealed f2 version. Frankly, I see a need for both, it depends on the mission. The Fujinon 35mm f1.4 wins for me as you never know when you might need that extra light. My only issue is it is not weather sealed and I have yet to see an example without some dust inside. This would not stop me buying another one, though. 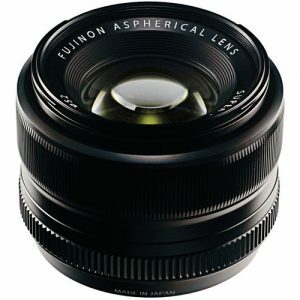 It offers an angle of view equivalent to a 53mm lens on a 35mm camera. This “standard” lens is a winner for me. The Fujinon 56mm f1.2 is just wonderful. 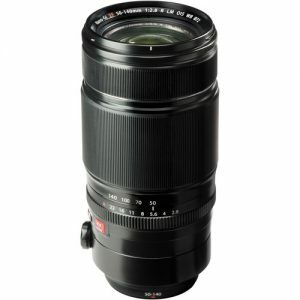 Its solid construction and super sharp images make it a great choice for anyone wanting a short telephoto lens. I love an 85mm for people shots and the Fujinon 56mm f1.2 gives you just about the best option at that focal length that money can buy for the fuji X system. It is simply stunning. I don’t carry this lens in my travel kit. It’s way to bulky and not the sort of focal length I would need for that sort of mission. However, I do own one. It’s a very high-quality useful shot tele zoom that can get you out of a hole sometimes. It very sharp in the centre so can be a useful portrait lens. On first look it seems expensive but when you consider the similar quality rival glass available its a bargain. The construction using plenty of metal and high-quality plastics gives this lens a good solid feel. If you are coming from a DLSR background you will be familiar with this 70-200ish 2.8 style lens. It’s a robust workhorse that I have no hesitation recommending. You can read all about my first impressions using this lens by clicking here. Lighting is the thing I can get excited about more than other equipment. I can get way more excited about lights than say cameras for example. Cameras nowadays sadly seem to be outdated within a couple of years. Good quality lighting could last you your entire career if you choose wisely. People often get a little shocked at the cost of some good quality lighting kit. However, when you consider some lamps are likely to last you decades rather than years, the investment seems pretty good value. 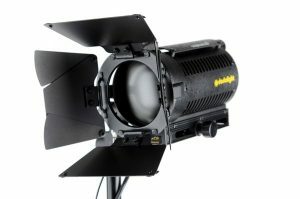 There are two main camps when we talk about lighting, flash and continuous. With the latter being able to be broken down further to tungsten and LED. But let’s deal with tungsten first. I have owned Dedos for many many years now. The DLH4 is just as valid today as ever. This amazing little lamp is a precision light source, featuring unique optics.The design is so good that the DLH4 has won an academy award in the US. The quality of light produced by this unit is hard to beat. It’s small too weighing in around half a kilo (1.2lb). I did own the 150w versions but now pack the 100w versions as the dimmer is a much smaller unit. They are not the cheapest lamps in the world. 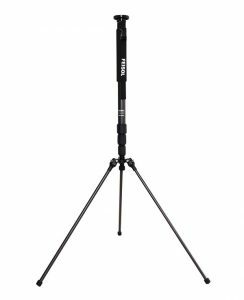 But if I had to only own one tungsten light kit it would be dedos. This lamp is very small when you consider it is packing 500 watts. This basic broad light is great for bouncing off of walls and ceilings to give you a large soft source. You cannot really finesse the light with this lamp. What it is great for is raising the overall ambient level in a room. I have often used it in kitchens on a turtle stand. You can hide it up on top of a cabinet due to its small size. Just be careful as it gets really hot! It’s one of those bargain lamps that I cannot seem to part with, so it remains in my lighting bag. It does have a useful built it brolly bracket, so it can make a good soft key or fill source in an emergency. Compared to other units this lamp is pretty inexpensive. I half expected its quirky design to break in the first year of using on location. The surprising thing is mine is still going strong despite taking a beating for many years. I often don’t even pack it in any protection when flying, I just throw it in a bag as is and it still survives. 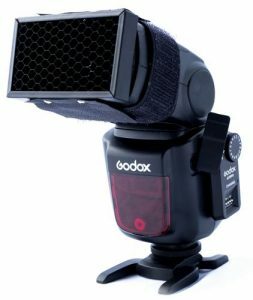 The Godox V850 is rather unique in that it uses its own lithium pack rather than conventional batteries. This did concern me at first as It’s pretty handy to have gear that takes AA batteries, as you can always seem to find those somewhere. This has not been an issue and the pack is good for around 400 full powers pops, so with a couple of packs you can go for days at the rate I shoot. I always have a cheap grid fitted, this is my default starting point. I will remove it only when I feel it is required, I prefer to use the Ving 850 as a focused spot of light often just to supplement the Godox AD 360 main light. I explain how I use the Godox V850 in the video. The think Tank Roller Derby is the best-wheeled photo case I have found. 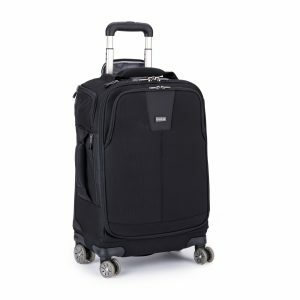 I looked at a few but from my many hours if not days in airports the one thing I knew above all other things was that I would love to find a case with 4 wheels rather than 2. The wheels themselves are worth their own mention, as far as I know, there were designed just for this case. They are great, plus as they are twin wheels you actually get 8 wheels and as we all know that’s better, right?! Travelling with the Roller Derby was an absolute joy. 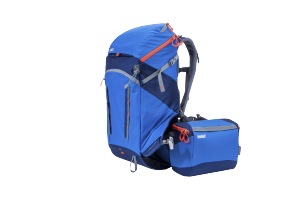 Its very well made and can take a lot more gear than you might think. It has a built-in steel safety cable so you can quickly chain it to a seat or a luggage rack on a train. I have yet to find a better designed or made roller bag for my gear. Click for my review ThinkTank Roller Derby. Typical quick pack what’s in my camera bag here. SPECIFICATIONS, from Think Tank website. Great lightweight bag the main feature being that I am able to access my gear without taking the rucksack off my back. This feature is also helpful if at the steps of an aircraft I’m asked to check the bag in the hold. I can simply pull the insert bag and get onboard with my camera. 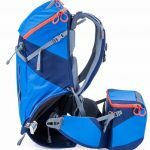 This camera rucksack weighs in a 1.8kg and is pretty comfortable to wear making it a great choice. We all need those bits and pieces to help make our job just that little bit easier. So, I thought I would list some of the many smaller items I have in my kit, that I have discovered work well for me. They help me either save time or simply be more organized. Which is the same thing really in this game. This little pouch is great, I have two in my kit. Capable of taking nine SD cards this well-made card holder is not the cheapest. I love the fact that it is a bright orange color, I get fed up with trying to find black items inside a black bag whilst in a hurry. It also has a useful lanyard clip thing. I use this to tether my SD Pixel Pocket Rocket to the inside of my grab bag whilst operating from a vehicle, so it can’t fly out. 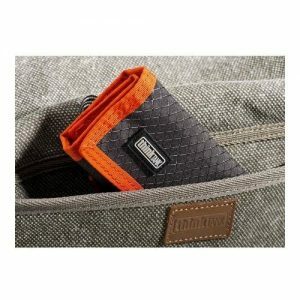 I use a simple system with these Think Tank SD Pixel Pocket Rockets. I will begin the shoot with all SD cards are face up, during the course of the day as cards get used and returned to the pouch them get placed face down. I can quickly see which cards are used and need to be imported. These work great at keeping batts organized. 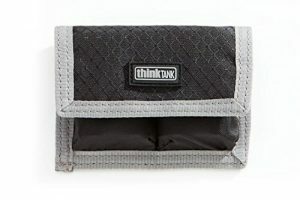 I currently have five of these holders from Think Tank. 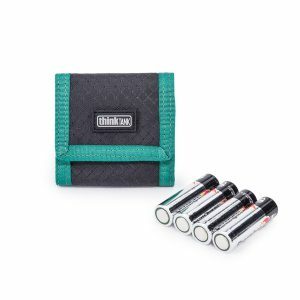 They are well made, prevent the batteries from shorting and have a useful gray edge for visibility in those dark pockets of the camera bag. Again I run a system where if the battery has been used its tossed loosely into the camera bag. So I know that all batteries in those little Think Tank battery holders are fully charged. 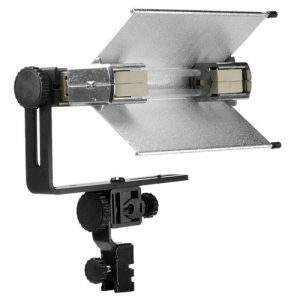 I carry one of these with a set of Duracell Industrial AA batts for my flash meter and Godox Flash triggers. 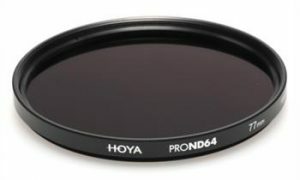 I use the ProND range from Hoya, they are fairly cheap but seem pretty good. I’m hard on my filters, they either get lost or damaged so I need to have some that don’t cost me the earth. I tend to only use Neutral Density filters in my work. I carry a full set of ND64 and ND8 for all my lenses in my bag. Its one of the few things I will always take on location. I need these as I mostly use flash and am limited to the flash sync speed of the camera. This speed will not let me shoot at the optimum f-stop for my lenses I, therefore, need 3 stops or so that the ND affords me to get me back to around f4. My main computer in the field is an Apple Macbook Pro 13′ Retina running Adobe Lightroom. I don’t use my computers hard drive for anything apart from the OS and software packages. My Lightroom catalog and images are on an external 480GB USB3 SSD drive. 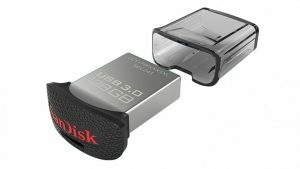 All my other bits and bobs are on a Sandisk Ultra 128gb USB3 that lives in the side of my computer. When I get back to base I will time machine all three drives back onto one of my 8TB G-Drives. My Lightroom catalog and images are currently on an external SSD drive. I have outgrown my 256gb Thunderbolt drive I made, so now use this as a backup. 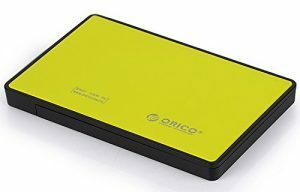 I have found the very cheap enclosures made by Orico to provide a good tool free option. The seem to provide good speeds and they come in funky colors so you can find them buried deep inside your bag. I would recommend the Samsung EVO range as they offer the best value for money. The Pro range is faster if you need that. However, there was an offer on Amazon for Sandisk items. So, I’m currently running my Lightroom from a 480GB Sandisk Ultra II. I’m getting fairly impressive read/write speeds from the Sandisk drive. For more on how I build and use these click here. I wear mostly Marmot and Kuhl. The Kuhl shirts have so many useful features for day to day working in hot climates and travel. 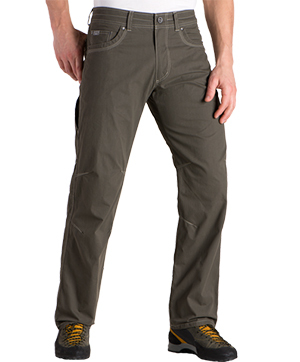 It’s Quick dry, wicking, and wrinkle resistant. You can easily wash it in the sink of your hotel and have it dry in 20mins. 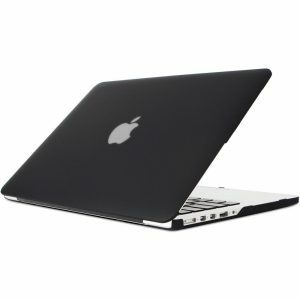 They have a few concealed tricks also, namely vented area under the arms and a hidden pocket on the inside. However, my favorite thing about them is the built-in lens cloth stitched inside of the front of the shirt at the bottom. 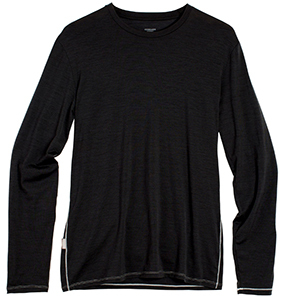 This Icebreaker ultralight super-soft, stretchy merino wool top is the perfect backup for travel. Comfortable, fast drying and antibacterial. It keeps you cool when it’s hot and hot when it’s cool. 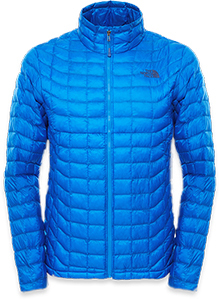 I bought this packable ultralight North Face jacket as it was on sale at the Phoenix REI and I knew I needed something that was small and light. There are various other makes that also do a fine job. The NorthFace Thermaball can be packed into its own pocket and makes a useful pillow when on a long haul flight. Khul makes some of the best. They are way lighter than taking a pair of denim jeans. Plus they dry faster and have a useful leg phone pocket. I have what looks like the same pair but in various weight fabrics. For warm climates have a look at the Kontra Air or Revolr. Merino wool again. 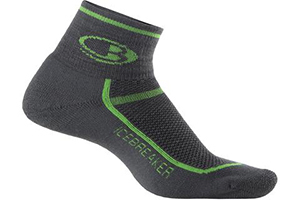 Icebreaker makes some of the best socks for travel. They keep your feet dry due to the wicking nature. They don’t feel itchy like wool socks can often be. Plus you could wear them for a week and they won’t stink. This means you only need to carry two pairs for travel really. One is drying while to wear the other.